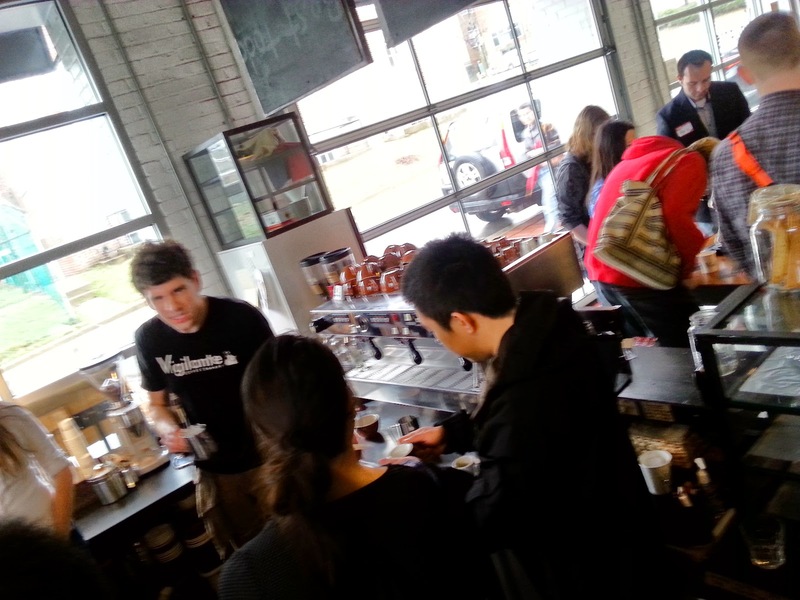 Vigilante Coffee Company is on Route 1 in Hyattsville's Art District very close to the Palette Apartments and the surrounding new retail with BusBoys & Poets, Tara Thai, Curry 6 and others. Vigilante Coffee company hosted a Yelp Elite event and explained the intricacies of Espresso coffee making, brewing coffee and the drying and roasting of coffee beans. 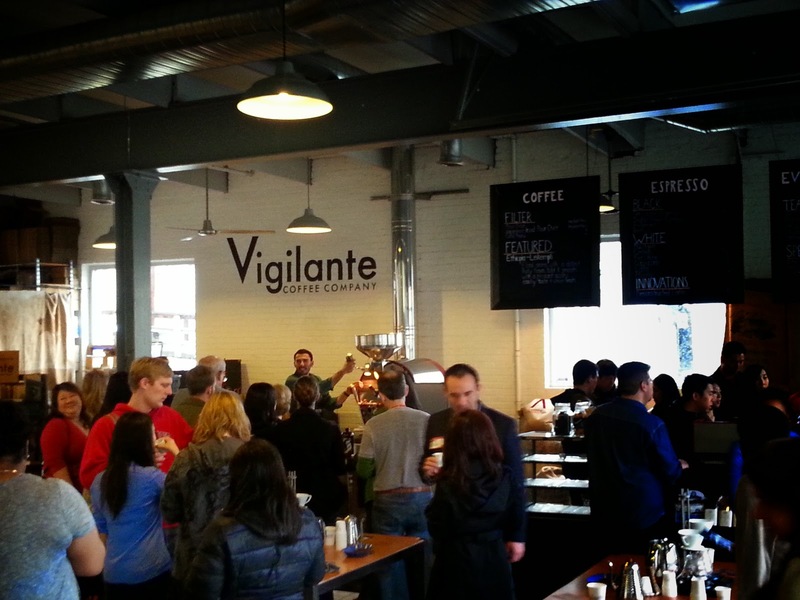 Vigilante Coffee has arrangements with coffee growers to ship beans from different coutries in the world. 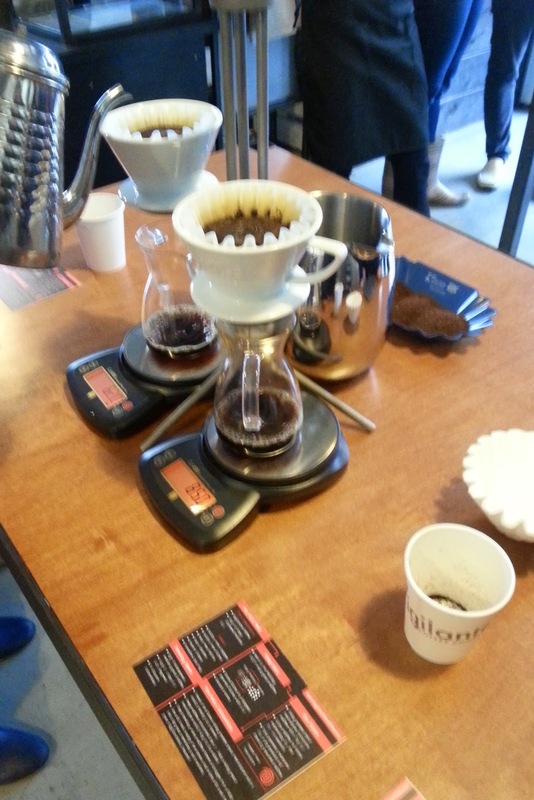 At this event I saw beans from Nicaragua, Rwanda, Columbia. While brewing coffee, I learnt that you should pre-soak the paper filter. That would help me at home definitely. Measuring the water and pouring while on a brewing scale. At least that is what I think it is called makes the coffee making an art along with being a carefully measured practice. 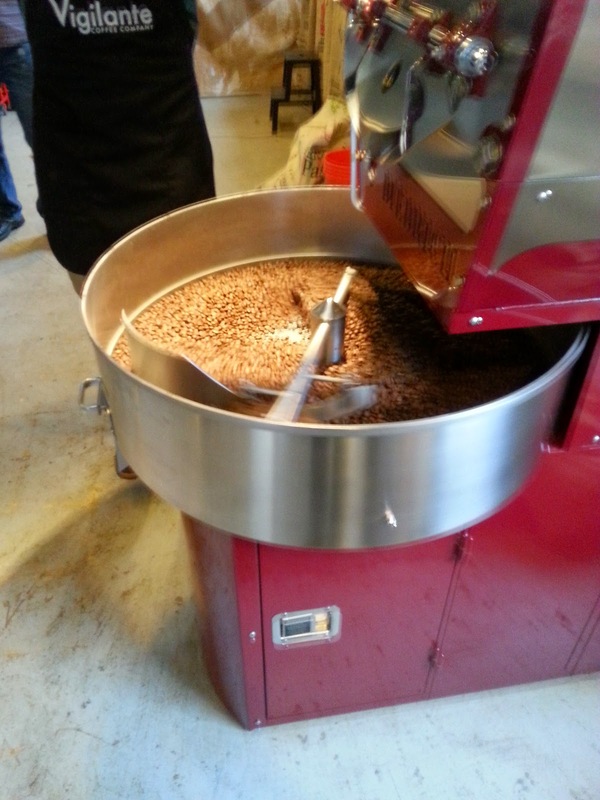 The coffee at Vigilante Coffee Company is dried, roasted and ground every three days and is distributed to a few stores around the DC area. 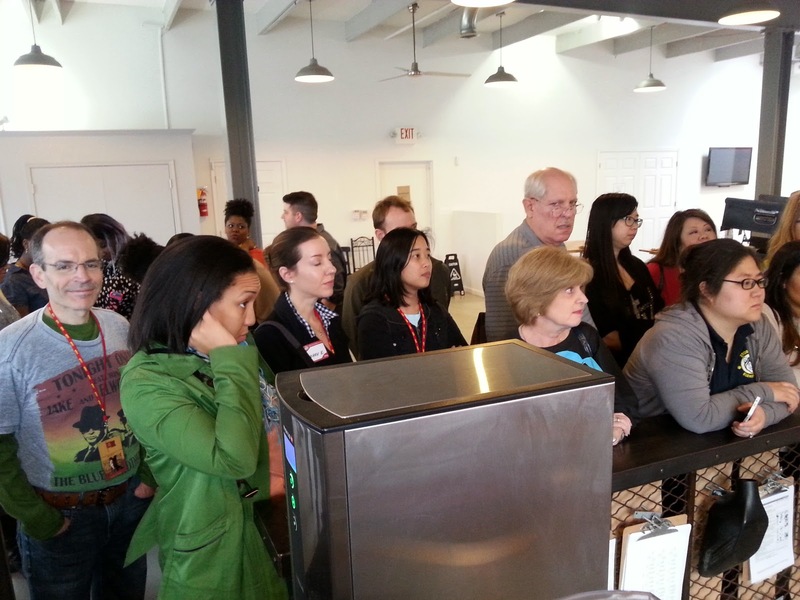 It was great to meet friends and fellow Yelp Elites at the event and learn about coffee brewing.